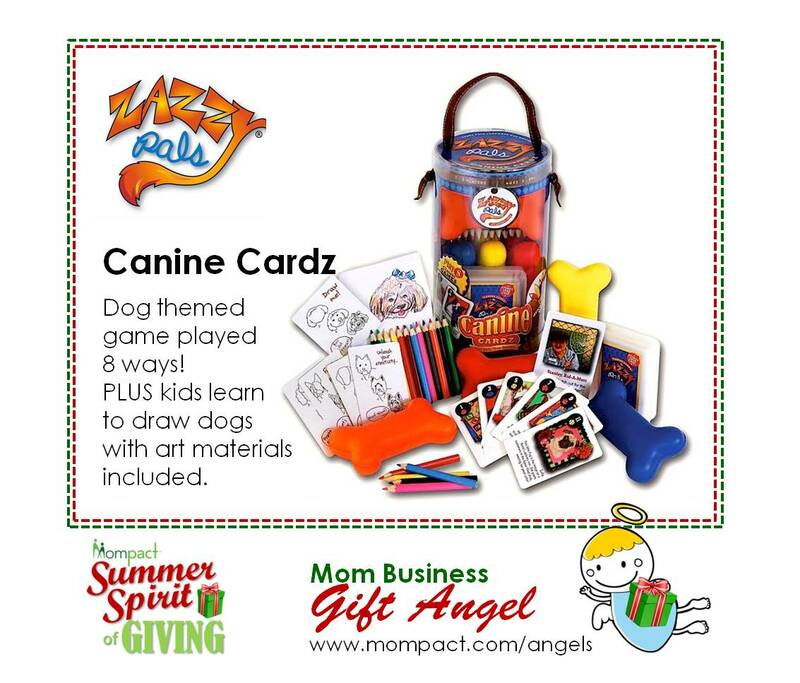 Dog themed game, CANINE CARDZ, is played 8 ways PLUS kids learn to draw dogs with art materials included. Zazzy Pals introduces the game, CANINE CARDZ, featuring 12 Real dogs and their TRUE names and stories. Children ages 5 and up can play 8 different games (such as Dog Catcher, Bones, Mutt Match, Go Fetch, etc) and use the 4 squishy bone game pieces on the 3 “high action” games, all enclosed in a specialty container with handle for travel. In addition, 10 Draw-a-Dog lesson cards are included with a sketch pad and 12 pack of colored pencils so kids can learn to draw dogs, too. No technology, assembly or batteries required AND educational value, too. SO much doggone fun! Perfect for gift, vacations and way to occupy those “waiting” periods for children. Super value with CANINE CARDZ (www.ZazzyPals.com) as it’s 8 games in one PLUS learn to draw dogs, too!